Currently, a majority of movies are released in DVD format for the large capacity it offers. Therefore, there is demand for playing DVD on Mac or Windows. In my previous post, I have collected the top 5 DVD player software for Windows PCs for your choice. If want to find a suitable DVD player software for playing DVD on your Mac, here is the right place for you. In this article, you can find top 5 free DVD player software for Mac allowing you to play any kinds of DVDs on Mac OS X (Mavericks and Mountain Lion included). Just go on and read more. You can use QuickTime to open DVD movie files on hard disk or DVD. Use Finder or Windows Explorer and either double click on the file or drag it into the QuickTime Player icon. You can also select File from the menu options, click on Open, and navigate to the file you wish to play. Pros: QuickTime has a slick yet easy to use interface, integrates well with OS X and the PRO version gives you the ability to edit and convert video files. Cons: Slow while launching, it has been superseded by QuickTime X in Mac, requires regular updating to get maximal use out of it and is suitable for Macs. To play a DVD disc with VLC Media Player, open the File menu, choose Open Disc from the resultant menu item. While in the Open Disk Dialog Box, select DVD. When reading the DVD you have the option to enable DVD menus through selecting DVD Disc Type from the wxWidgets Interface. In Mac OS X interface, you can accomplish the same by selecting Use DVD menus. Select the drive that contains the DVD you want to read, through providing the related drive letter or name of device in the Device Name input box. On Mac OS X, this is automatically detected. Click Ok to start playback. Pros: Easy to use, flexible, lightweight and has support for HD and BluRay discs. Cons: The user interface is basic and is slicker in Mac versions. It is crucial to understand that MPlayerOSX package will install both MplayerOSX with SMPlayer as the front-end application. 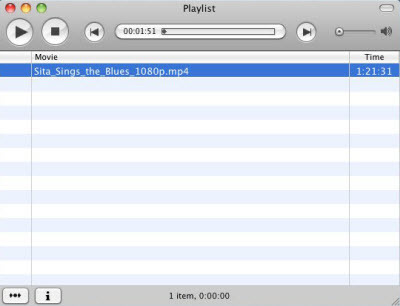 MplayerOSX is a binary distribution for Mplayer (Linux’ Movie Player) and is native to Mac OS X. 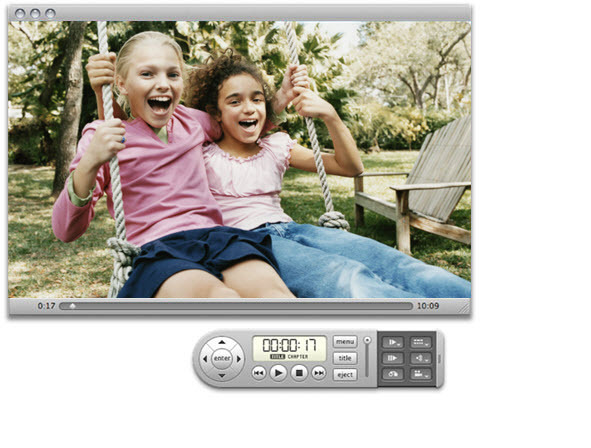 Upon installation, you can then simply use drag and drop to play your DVD files in either full screen or window modes. Pros: Lightweight, offers video compatibility is impressive and compares favorably with other players in the market. Cons: MPlayerOSX offers no way to save playlists, while trying to access the menu, videos will pause and the software is unstable a few times. 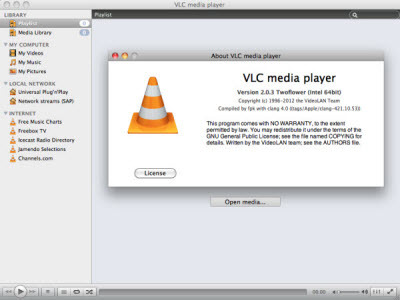 Mac Media Player could be the best free DVD player for you to enjoy DVD movies. For starters, you need to select it as the default DVD player in Mac. Open CDs & DVDs under Hardware and select ignore for item marked when you insert a video DVD. Insert the DVD into the driver; some DVDs are automatically launched while others will require you to open those using open buttons (Open File or Open Disc). To play a DVD ISO file, select the Open File button, navigate to the location of the file, and press on PLAY button to start playback. Pros: Mac Media Player is a powerful high def video player with hardware acceleration capabilities. To use Apple DVD Player, simply insert your DVD-Video disc in the computer and it will automatically display the disc’s DVD menu screen. You need to use your mouse to select items on the menu items. You can also use navigational buttons using the DVD Player Controller. If set to full screen mode, you will not be able to view the screen menu bar but can easily access by moving your pointer to the screen’s top. To change window sizes, select size from the view menu or video menu on Mac OS X v10.6 and earlier. To play a movie, click on Play Movie while in the DVD menu. When you play DVD with the DVD Player Controller, you can turn subtitles on or off, skip chapters, fast forward or rewind, stop, pause and much more. Pros: Comes bundled in Mac machines and is totally free. Cons: You need to have a built in optical drive or external Apple USB SuperDrive that comes with a DVD Player. Whether you’re anchored at home with your desktop or trekking with your laptop, with the right DVD player software, you can fully enjoy high–quality video playback anytime or anywhere. Sometimes it can be somehow challenging to notice that despite using the above-mentioned DVD player software you end up with compatibility issues. However, this should not mean that you cannot enjoy watching your DVD. You can use Brorsoft DVD Ripper for Mac ( DVD Ripper for Windows ) to enhance your experience. It is a professional DVD ripper that is capable of converting your DVD to an acceptable file format that is supported by your default media player supported by your computer. It allows you to convert your DVD with a lot of ease thus making the experience fun. Nothing can be compared to the ability to convert your DVD devoid of any obstacle.